FiiO is an approximately 10 year-old Chinese firm that enjoys a reputation for building high performance, high technology, and high value personal audio products. 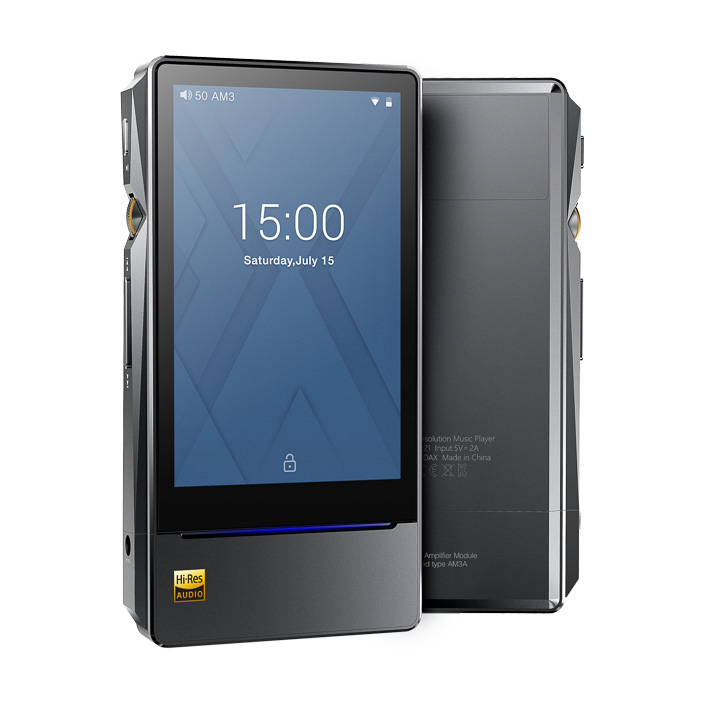 No wonder the company’s whimsical slogan, which translates only imperfectly into English, reads, “Born for Music and Happy!” One musical FiiO component that recently has made us happy is the firm’s flagship X7 Mk II high-resolution digital audio player. The full-featured X7 MkII’s DAC section is based on an eight-channel ESS ES9028PRO DAC device, backed by a trio of precision crystal oscillators (one for DSD/44.1kHz multiples, one for 48kHz multiples, and one for 384kHz sample rates). The DAC can handle PCM files to 32-bit/384kHz rates, DXD files at 352.8kHz rates, and (native) DSD files up to DSD128. Storage features include 2GB of RAM, 64GB of ROM, and two Micro SD card slots. Connectivity options include a 2.4/5GHz Wi-Fi interface and an aptX Bluetooth 4.2 interface, plus a USB port (used for charging and data transfers). FiiO says the versatile X7 MkII is based on a ‘highly modified’ Android 5.1 operating system, meaning users easily can download and install music playback apps such as Tidal, Spotify HD, or the like. Also included is the FiiO Music app, which is extremely easy to use. Physical controls include a top-mounted on/off switch, left side-mounted play/pause and track forward/backward buttons, plus a thumbwheel-type volume control. I/O ports include a top-mounted line out/coaxial/optical output, while other I/O options are dependent on the amplifier module(s) chosen. The X7 MkII gives owners the choice of several different amp modules that attach at the foot of the unit’s main chassis. FiiO typically bundles the X7 MkII with its AM3A module, which is how our sample came equipped; the module provides a USB jack, a 3.5mm single-ended headphone jack, and a 2.5mm balanced output headphone jack.